Our second edition of the blog features three additional teams that are heading towards the final round of the competition: Team PISCES, representing Portugal, Team GEBCO-NF Alumni, an international team hailing from over 15 different countries, and Team Texas A&M Ocean Engineering, a student team from Texas A&M University, United States. Read on to find out more about these teams and continue to follow XPRIZE on Facebook and Twitter for updates on when new posts become available. 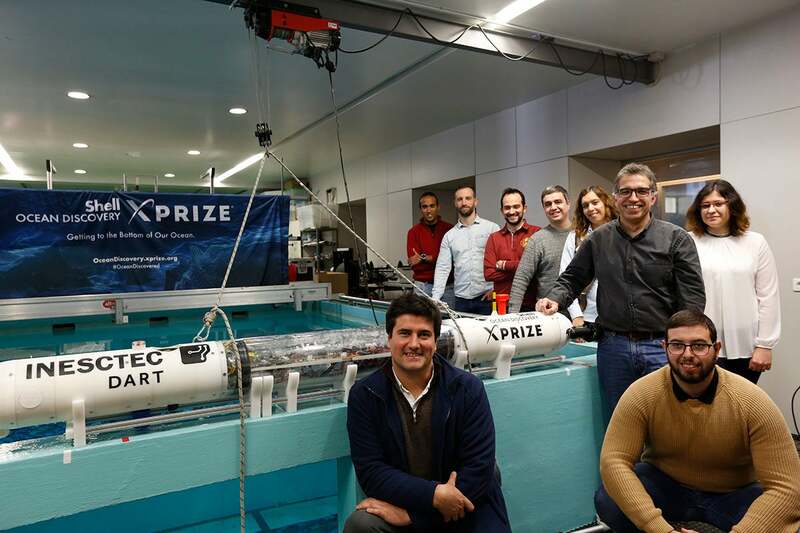 The Shell Ocean Discovery XPRIZE is a global competition with a goal to advance the development of marine robotic technologies to access and illuminate the deep-sea like never before. In March 2018 we announced the 9 Grand Prize Final Teams who made it past the rigorous Round 1 Technology Readiness Test and assessment by our independent Judging Panel. 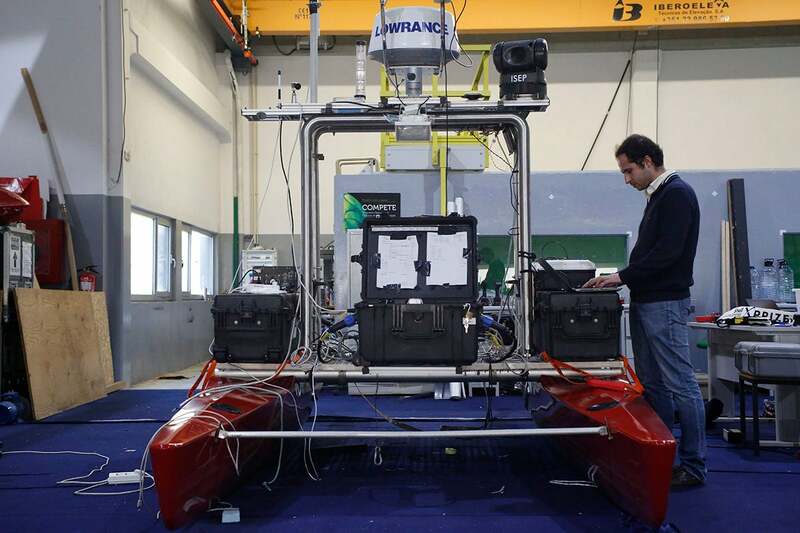 For the second and final round of testing in November and December of this year, these teams, representing 9 countries with team members from over 28 countries, will be tasked to autonomously map and image the seafloor at 4000 meters beneath the sea surface. What these teams have accomplished, and are preparing for in their upcoming mission, has been no easy feat. Over the next few months, we are excited to introduce you to these teams and, through their own words, their trials and triumphs, and their audacious and challenging XPRIZE journey. We hope you enjoy this series of blogs and decide who you will be cheering for to win the first place Grand Prize of $4 Million in the second and final round of the competition! 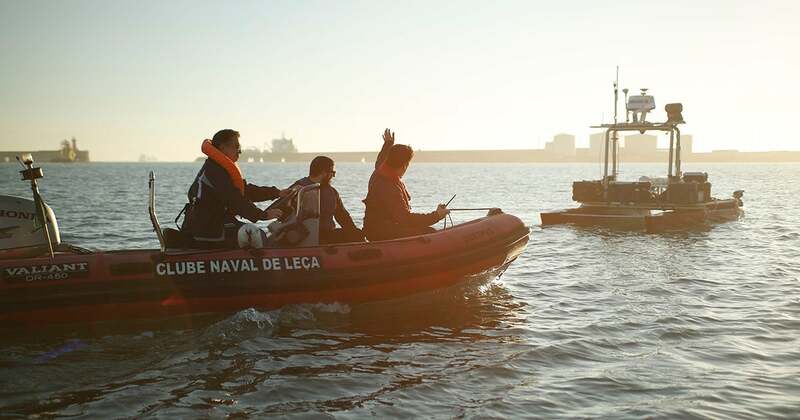 Team PISCES is a Portuguese team that joins together members of the Center for Robotics at INESC TEC, a private non-profit research institution, and the Faculty of Engineering of the University of Porto (FEUP). With over 20 members of multi-disciplinary backgrounds actively involved, Team PISCES proudly represents Portugal in this competition. 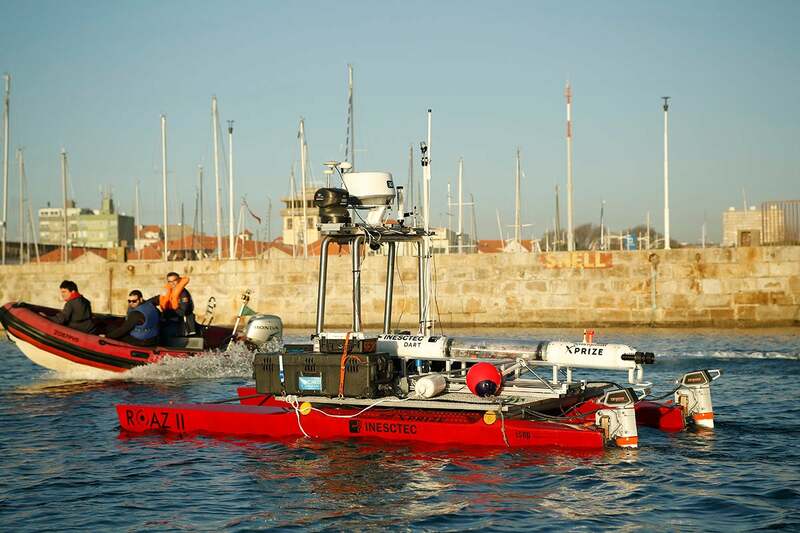 PISCES’s technology combines technologies developed at INESC TEC (Porto) and CINTAL (Algarve) to create the PISCES system that leverages cooperative robotics. Learn more about Team Pisces here as well as their team website. Team Lead Dr. Nuno Cruz juggles many responsibilities as a Professor and leader of this XPRIZE Finalist Team. Nuno holds a MSc. in Digital Systems Engineering and a PhD. in Electrical Engineering, and is currently an Assistant Professor at the Faculty of Engineering of the University of Porto and a Research Coordinator at the Centre for Robotics and Autonomous Systems at INESC TEC. 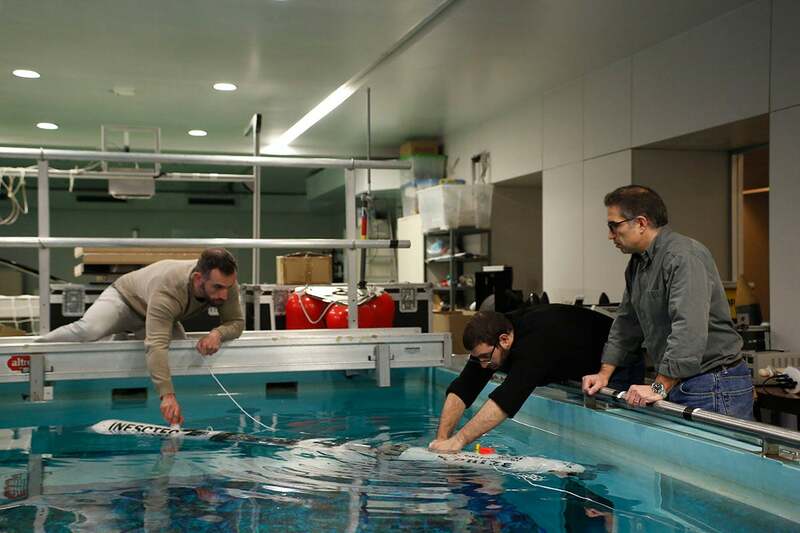 He has been involved in the development and deployment of marine robotic vehicles for more than 20 years. What is your favorite oceans-related movie? My favorite oceans-related movie is The Perfect Storm (2000), directed by Wolfgang Petersen. I had previously read the book by Sebastian Junger, so the plot was not a big surprise, but the visual effects added a dramatic perspective about the power of the ocean and nature in general. I think it is a nice tribute to the effort of the fishing communities around the globe to bring us seafood to the table! What first sparked your interest in the oceans? I was born in Porto, a seaside city, so most of my childhood vacations were spent on the beach. I remember exploring the little ponds in the rocks during ebb tides, finding little fish and crabs, sometimes painfully stepping over sea urchins… I guess the variety of life found in those little ponds sparked the curiosity about what else could be found in such a vast ocean ahead. What do you appreciate about the XPRIZE approach in solving grand challenges? At INESC TEC (Institute for Systems and Computer Engineering, Technology and Science), we are used to applying for funding in typical calls for research projects. In such calls, we compete for funding with other researchers based on our ability to convince the evaluation panel that we have ambitious but reasonable goals, and that we have the right approach to succeed in these goals. Most of the pressure is on the proposal, and then, if the funding is granted, we just need to follow the approved plan. On the other hand, in the XPRIZE approach the focus is much more on the results, i.e. in our ability to reach results that are the best within the community. This means that we may have a good idea and fail because of practical issues, or simply being beaten by another team with better results. So, instead of convincing an evaluation panel, the team must be self-convinced of their capabilities. What do you think we will find at the bottom of the ocean? 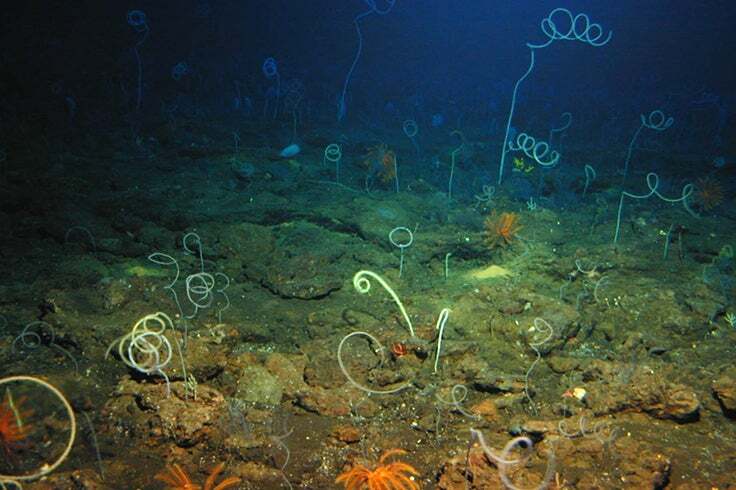 Given the vastness of the ocean and the extremely harsh conditions of the deep ocean, the expected density of interesting features at the sea bottom is very low. However, all the entries will have to cover large areas, so we hope the PISCES team will have the chance to capture video footage of some new marine species and some evidence of a geological phenomenon. Unfortunately, I think we will also find disturbing signs of marine pollution. What has been your biggest personal or group achievement in getting to the finals? The PISCES team aggregates more than 20 people from different labs and locations, and all have been successfully improving different pieces of technology. 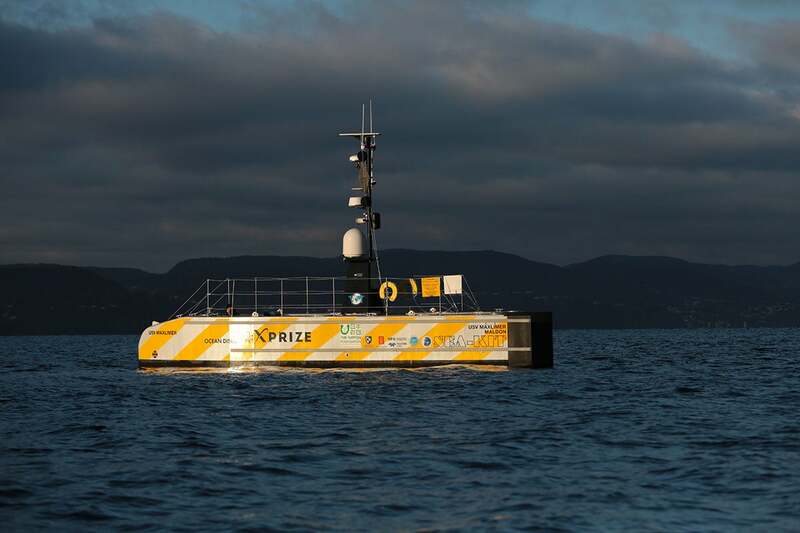 However, the strength of the PISCES approach is the coordinated operation of complementary assets, therefore I think the major achievement so far has been the autonomous launch of the DART Autonomous Underwater Vehicle from the Roaz Autonomous Surface Vehicle. 2018 is the year of the World Cup and the year of the Finals for this Competition, why should people root for your team? Since the best soccer player in the world is Portuguese (Cristiano Ronaldo), maybe the best ocean exploring team will also be Portuguese – the PISCES team! Who is your favorite explorer and why? In terms of boldness, I admire the Portuguese explorers of the 15th and 16th centuries, who were incredibly brave to venture into completely unknown regions on ill-equipped ships. However, my generation was lucky enough to grow up watching two of the greatest explorers of the modern age on TV: Sir David Attenborough and Jacques-Yves Cousteau. Even though both were always transporting viewers to remote environments, I think Cousteau showed us much more inaccessible habitats, and amazing creatures with surprising behaviors. In your opinion, what do you hope might be the biggest technological breakthrough in the next 100 years? I hope the biggest technological breakthrough in the next 100 years will be in human transportation. We’ve had very slow evolution on transport related technology in the last decades, so I hope there will be one or more leaps to provide us safe, fast and reliable access to remote environments, from the deep ocean to outer space. 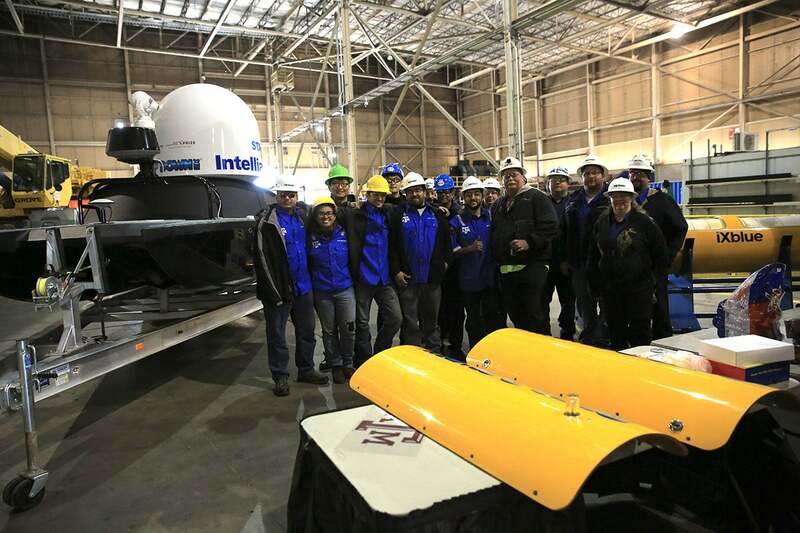 The Texas A&M Ocean Engineering Team combines student engineers with world leaders in subsea technology to take on the challenge of the Shell Ocean Discovery XPRIZE. 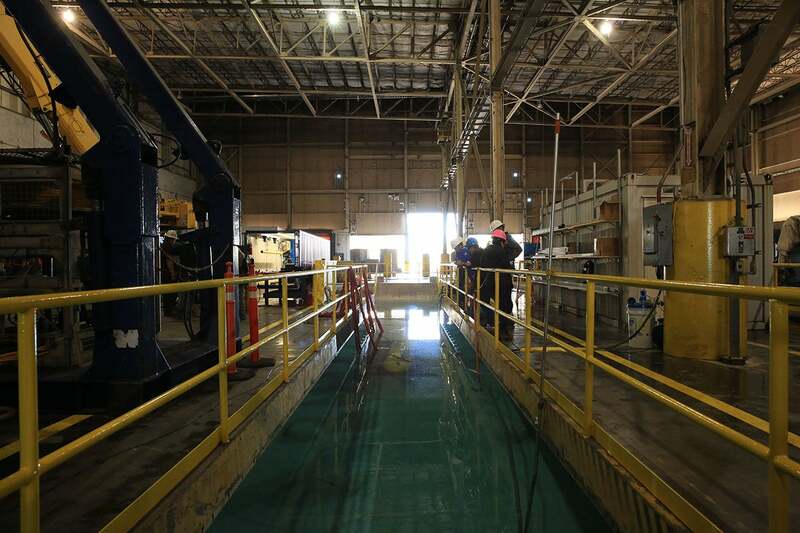 Roughly 40 of Texas A&M University’s graduate and undergraduate students as well as alumni work together to form this student-led team, utilizing Artificial Intelligence on subsea and ocean-going vessels in the hopes of creating a fleet of the most advanced vehicles on the market. Team Texas A&M Ocean Engineering is also the sole team competing in both the Shell Ocean Discovery XPRIZE and the NOAA Bonus Prize, a $1 Million supplemental competition to trace a chemical or biological signal to its source. Team Lead Dylan Blakeslee is a senior ocean engineering student at Texas A&M University. Having successfully led his Team during the Round 1 Field Tests in the Fall of 2017, Dylan continuously brings optimism and a drive to succeed for his team as they work towards putting their final Entry to the test for the final round. Dylan’s passion and ambition goes beyond winning the competition—his ultimate goal is to help develop a suitable and cost-effective fleet of AUVs to deploy around the world for research and accessible education. 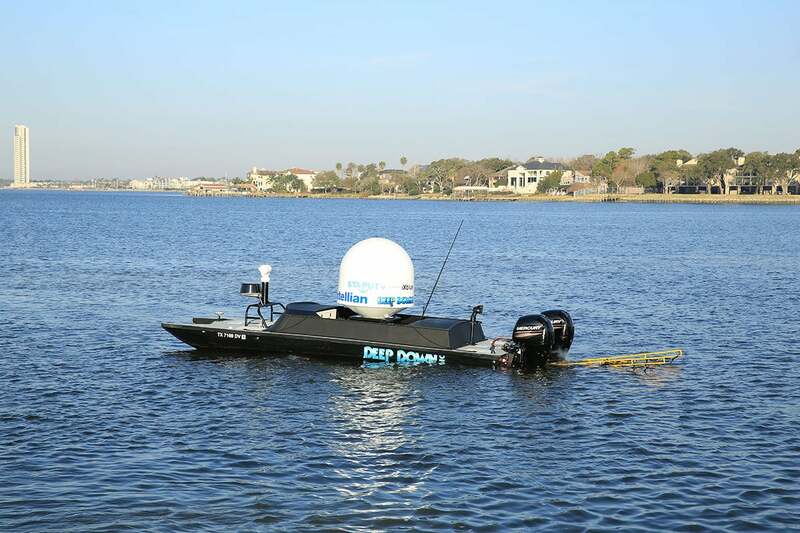 Learn more about Team Texas A&M Ocean Engineering here and follow them on Twitter @TAMU_ODXP. We appreciate the XPRIZE approach to solving grand challenges because it has brought a lot of attention and light to the vast unknown that is our ocean. By creating a system to explore our ocean, we may find answers to some of the greatest challenges facing our world. We may find more resources, new species, and new chemicals that could lead to the cure for cancer. Our team’s biggest accomplishment is mustering together the support system that we have to remain strong in this competition. Coming from a team of little financial support and run by a small group of undergraduate students, we have accomplished so much and raised an unbelievable amount of support from our generous partners. In your opinion, what is the biggest technological breakthrough in the last 100 years? We believe that the biggest technological breakthrough in the last 100 years has to be the development of autonomous vehicles and artificial intelligence because it opens up a variety of technologies to be developed in the future in order to increase human efficiency and safety. Team GEBCO-NF Alumni is a truly international team characterized by its diversity and global distribution. 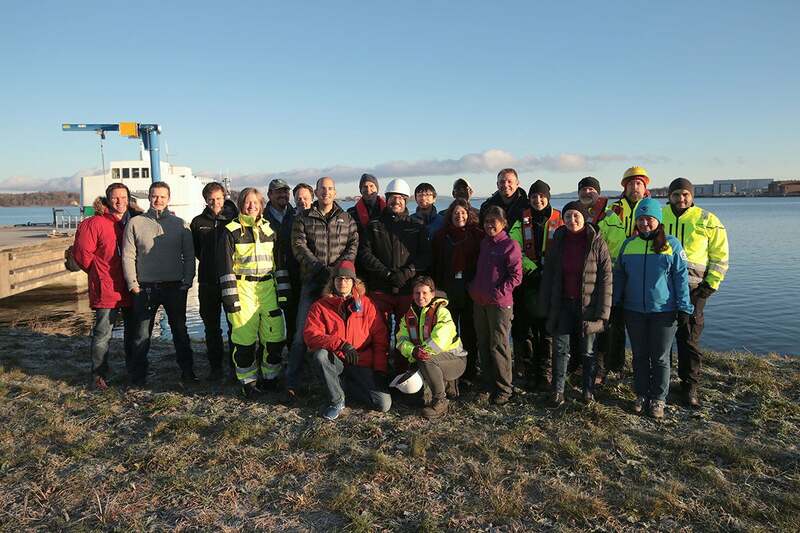 Led by alumni of the Nippon Foundation / GEBCO Ocean Bathymetry training program at the Center for Coastal and Ocean Mapping of University of New Hampshire, the team has members, advisors, and contributors from over 15 different countries. The team’s collaborative spirit is also reflected in their approach for this competition, leveraging existing technology and strategic partnerships and blending them with new innovations in offshore logistics to create a wholly unique solution. Team Leads, Dr. Rochelle Wigley - who serves as Project Director for all Nippon Foundation GEBCO projects at UNH, and Dr. Yulia Zarayskaya - from the Geological Institute of Russian Academy of Science, manage to pull together the GEBCO-NF Alumni team members across various continents and time zones for the joint goal of mapping the sea floor and winning the Shell Ocean Discovery XPRIZE. Rochelle received her Ph.D. in Geological Sciences in 2005, Yulia receiving hers in Geology in 2017. Learn more about Team GEBCO-NF Alumni here and through their team website. The 1989 film, The Abyss. Directed by James Cameron, I have to think it partially inspired him to be one of a handful of humans to explore the deep oceans. The movie tantalizes us with what could be down there and was one of the main reasons some of us sought ocean exploration and mapping as a career. Sharks…. Sharks are amazing. Ancient fish that are different from all the other fish that live in the ocean. With all the myths and stories around them. I still think it’s one of the most interesting fields of marine biology – to study this creature. What is your first memory of the ocean? I grew up near the ocean and my family visited it often. I remember standing on the beach as a young child and thinking not what’s out there, but what’s under there. That was a defining moment for me, when I realized that I wanted to know what was beneath the surface. 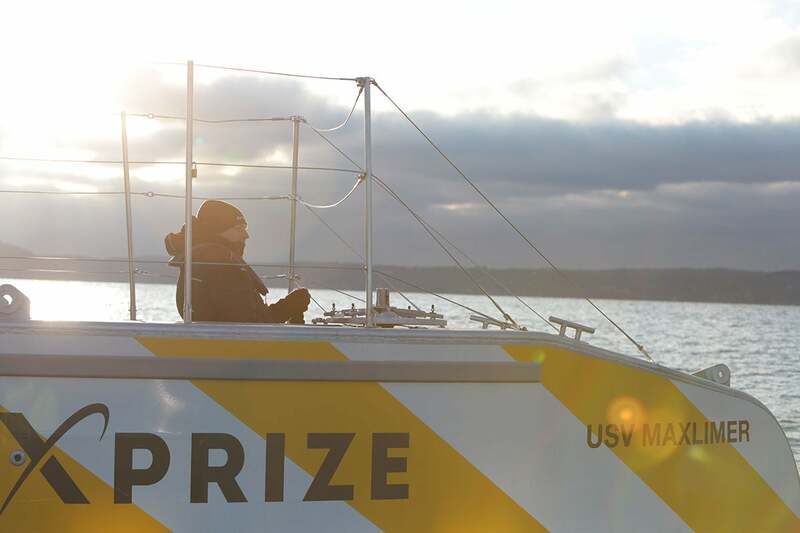 The XPRIZE competition encourages people to think outside of the box and allows them the opportunity to really explore creative solutions to current technological challenges. The creation of the GEBCO-NF Alumni Team allowed us to combine a group of alumni and advisors from diverse backgrounds and interests and the collaboration resulted in exciting new ideas and approaches that an individual would not have achieved. The tight deadlines also force creative and unexpected solutions as a necessity. I’m sure there are lots of people that wonder if there are alien spaceships, or wrecks with pots of gold and jewels on the bottom of the ocean. For me, I’m confident we’ll find amazing mountains and canyons that are unparalleled to what we have on land. Being a part of the first group of humans to see these features is exciting and pushes me to keep exploring. Describe an “ah-ha” or breakthrough moment during the competition. 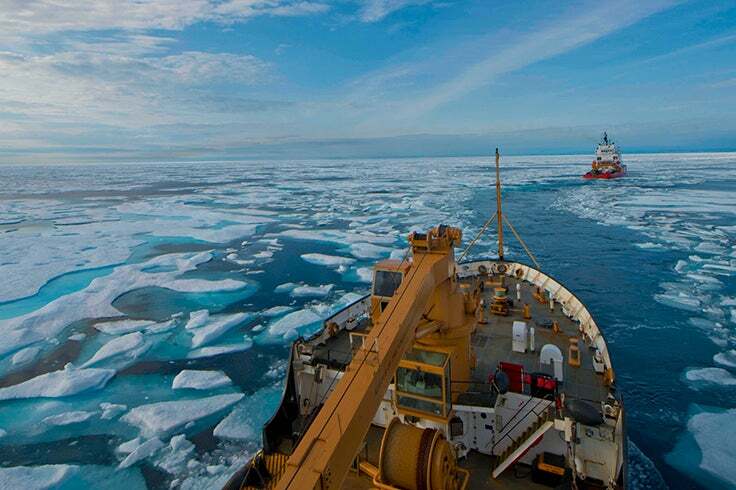 During sea trials, we have spent months testing our system’s communications and software. Some things worked, some did not at all. This was part of the routine and it was getting us closer to the goal - we all knew it, but I do not think we really felt it. The thought that we were very far from being ready was always with us. Right before the Technology Readiness Test, we had a video group filming us during our mission and I think they were so inspired with how we were working together that they wanted to help us as much as they could with what they could. The same evening, we had completed some tests for the first time, and the film crew assembled a very short video of our operations for us. 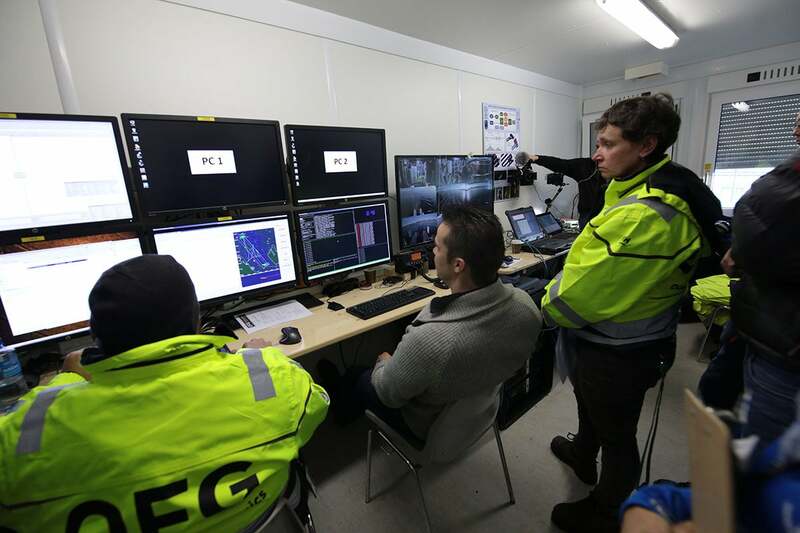 It was a very successful test and we had done all we planned to do, but to see how the team was working together to make it happen, to see ourselves through this film crew’s eyes was, I think, the most important breakthrough moment during the project. The biggest achievement of the GEBCO-NF Alumni Team getting into the finals is that this was done without the entire Team ever having been together in one place and some never having actually met others – this shows that communication and collaboration can and will be done successfully using remote technologies in the future. Where there is a determination to bring about change, passion and dedication will always win. Our team is a bit of an underdog. 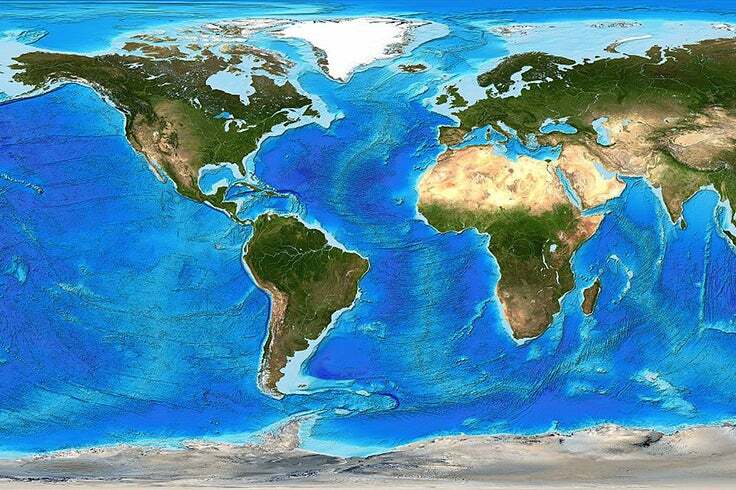 We are cobbled together, our collective passion for ocean mapping and our ties to GEBCO bind us. Many of us have never met. We are in diverse industries and come from diverse cultures and backgrounds. Yet we have persevered. We found an amazing financial partner, boat builder and technology providers to help us build our solution. In our eyes, it is our solution, but one we want to share with everyone. Hands down, space exploration. Our understanding of Earth increased exponentially in just a few short decades. From conclusively seeing that the Earth is round to better understanding climate, ocean currents, land masses and ice sheets, human understanding of the terrestrial Earth exploded. Ocean exploration. It’s the last, greatest frontier. Being able to explore the depths of our own planet, being places no humans have ever gone, not even ancient ancestors, is going to be revolutionizing. Our team’s motto is Mapping the Impossible. We’re hopeful that in the next 100 years, it won’t be impossible anymore.